On my scroll (and at least one other), the 'Filter By' and 'Sort By' drop downs are not working. Typing the numbers into the address bar still works but that's kind of a hassle. Neither of mine are working either. It worked fine yesterday. I'm on Chrome as well, and it's not working either. What are the manual addresses again? The first digit is the current page. the filter menu isn't working for me either. i'm using chrome. I can't access the main hamburger menu on the mobile site, either. Tapping it does nothing. ETA: This is on Chrome, on Android. It really does seem to be chrome related. I'm using Chrome on my Macbook and I don't have a problem with the filter drop down. What operating system are you guys using? What hasn't been working for me today is the 'Add to group' dropdown on a dragon's page. Instead of being able to add to a group from that page, it redirects me to the add to group page. The 'Add to group' button on my sort by ungrouped filter is greyed out and can't be clicked (see screenshot). I didn't upgrade my browser today, but this became an issue today. Is this similar to what you are experiencing with the filter drop down? Are you unable to click it to get the drop down to appear? I can do anything on firefox 59 (desktop PC, win 7) and pretty much nothing at all with any drop-down on Chrome 66). But I CAN add to group on either. Darn I only changed to Chrome because my beloved FF got mesed up so badly due to autoupdates that even de- and reinstalling didn't do the trick. Now my substitute browser is startig to play tricks? Well, I'm on Chrome and the drop down Filters don't work for me either. I did notice something else though. You can always access this page from the dragon page - you just usually have the option to go to this page or to use the drop-down menu to choose your group. 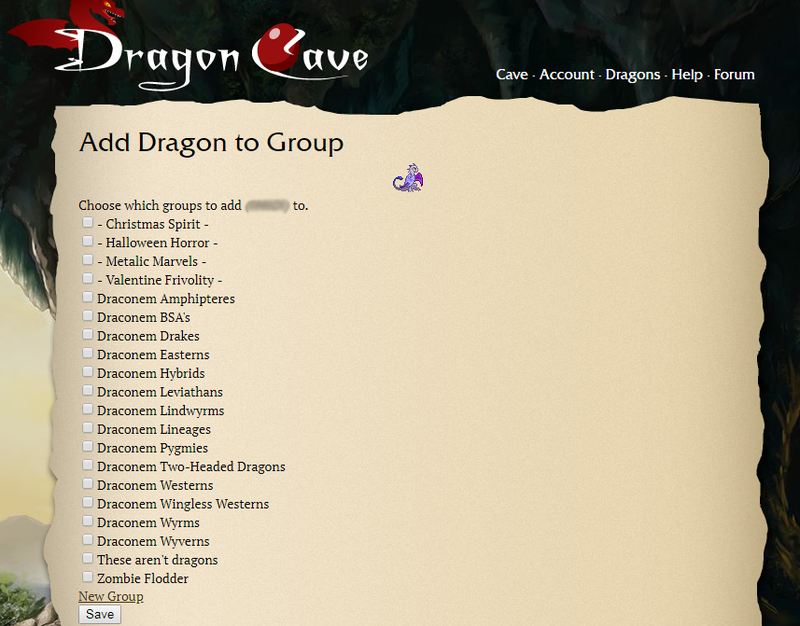 To get to this page from the dragon page, you can click this symbol rather than the drop down menu and it will take you to the group add page for that particular dragon, as shown above in the screenshot. That three bar thing is only on mobile, though. I have no idea which browser my phone uses but I also cannot access the main menu drop-down today. It was fine yesterday. Nope. Browser has it as well. However, it works just like the text next to it: Either the script is running and you get a drop-down box, or it's not running and you get that page instead. Right-clicking and selecting "open link in new tab" also gets you that page. That 3-bar symbol *used* to not have the script attached to it, but TJ fixed that quite a while ago. Ooh, I will have to check that when I get to a proper computer. Mind you, both of mine run Chrome as the browser so it might not work today.. I can’t open the navigation bar on Safari in mobile (the bar that says Cave, Help, Dragons, Account, etc). This has been like this since last night. Fun times! I will let TJ know about the shenanigans. EDIT: I am not able to replicate this on any browser. Everything seems to be working fine on the 3 browsers I have (Chrome, FF, Edge (yuck!)). For those with this issue, is it appearing on other sites? I am using Chrome (same problem as Herk with Firefox) but I still seem to be able to use the dropdowns. Windows 10, if that matters. Possibly not the most current version of Chrome? It's reassuring that I am not the only one having issues. 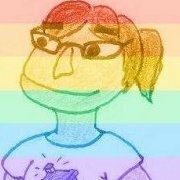 Sorry for the people having issues too. I am also using Chrome (the most current version) on Windows 10. 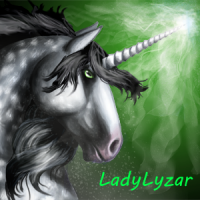 While I am able to use the Filter By and Sort By dropdowns for my main Dragons page, I am unable to use these dropdowns on my personal group pages. I have the issue with the Add to Group option being grayed out.